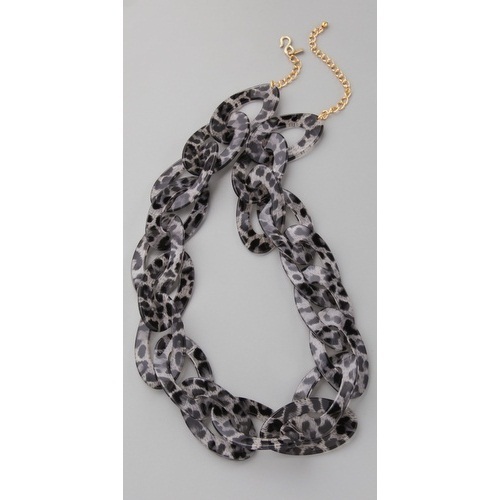 This necklace features a snow Leopard print at the oversized resin links. 22k gold-plated hook-and-eye clasp. * 32″ (82 cm) long.